American Arts & Crafts with Craftsman styling. 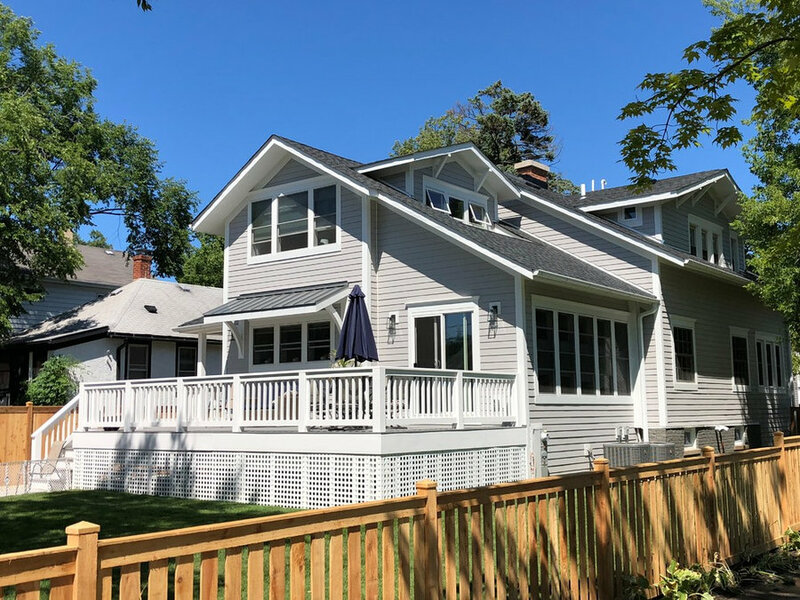 With this renovation and addition, we have an example of a project where we took great pains to make use of the existing foundation and first floor during the gut-rehab and addition, saving the existing main house from modification. 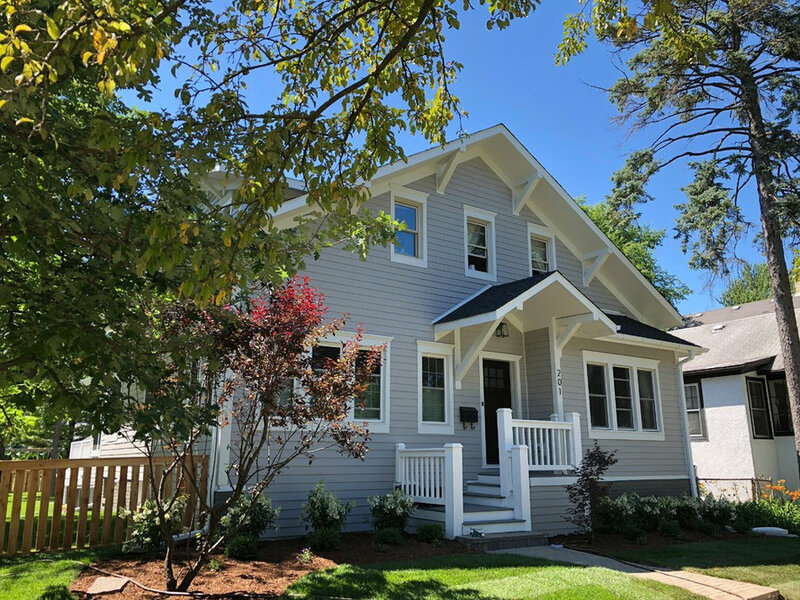 In doing so, we then had to design a solution to add on a kitchen and sun room, mudroom, along with attaining a master suite on the second-floor level, yet still retain the overall style and feel of their historic bungalow. Through creative roof lines, matching roof pitch, supporting brackets, deep overhangs, and a cross gable dormer proportional in size, we were able to create visual interest as well as break up the overall size and massing of the main house and attain our goal of a sympathetic addition.